Pranks are serious business when you’re a kid – many of us played knock-a-door-run or egged something/someone (I was never party to such atrocities. Swear down). 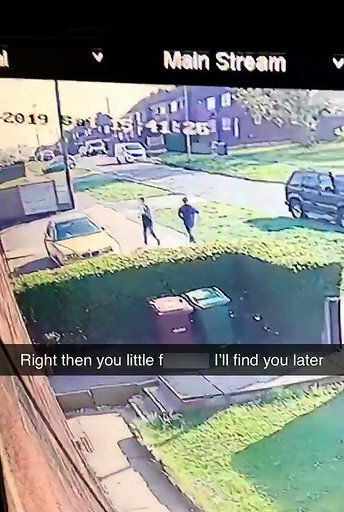 This is the moment Jack Oldroyd turned all Liam Neeson on us after spotting two schoolboys egging his house on CCTV – before proceeding to hunt them down and film them scrubbing up the mess. 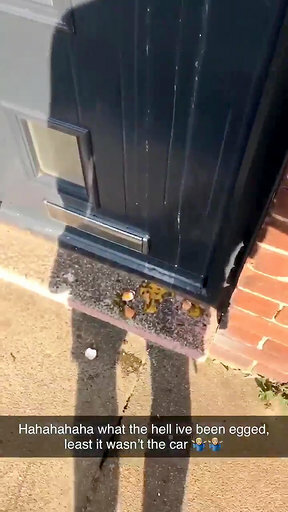 The gas engineer returned home from an eight-hour shift last month and was exasperated to discover his front door had been egged. 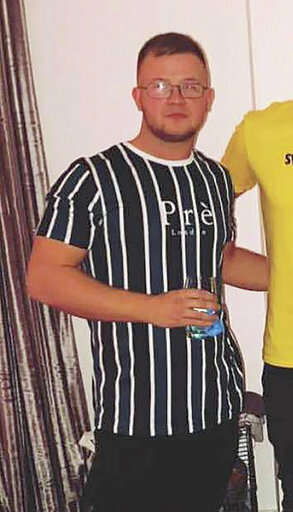 As the evidence was still freshly wet, 22-year-old Jack realised the ‘hit and run’ had been recent and sprinted to his computer to watch the CCTV footage in a bid to catch the culprits. Determined to get the pair to clean up their mess, Jack jumped in his car and drove round the area to track them down – joking that it was like a scene from Neeson’s action thrillerTaken. Hilarious footage compiled by Jack documents his ‘Neeson moment’ as he discovers the scene, watches the CCTV and finally gets retribution as the sheepish lads clean up the mess. “I thought, ‘Right, I’m, going to find you and I’m going to make you clean that off.’ It was a bit of a Liam Neeson moment from the filmTaken. I didn’t want to clean the door, I wanted them to do it. I got changed and had a quick drive round but couldn’t find them anywhere. Minutes after initially confronting them, stunned Jack answered his front door to discover the contrite boys ready to roll up their sleeves and clean up the mess.